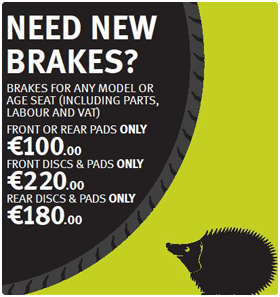 Proudfoot Motors is located in Beechmount Home Park, Navan Co Meath. It is operated by the Proudfoot Family who are natives of Meath and in the Motor industry since 1965. We are the main CVRT Heavy and Light Test Centre for Navan and the greater Meath area. We offer vehicle Sales, Leasing and of course offer finance deals for all our products, New and Used. We are main dealers in the North East for ISUZU 4x4 D-Max Range and of course the N-Series Truck, now available up to 11 Tonne. We offer Testing from 8.30am-5.00 daily with late evening testing on Wednesdays. You can book your CVRT test online by clicking the CVRT Link above. We also offer a drop off and collection out of hours service, which is very popular. Apart from the CVRT Side of our business, a huge part of it is the repair and service that we offer on all vehicles from small cars right up to the largest trucks. As part of our testing service, we offer a repair service so you can get all done under the one roof and on the same day. We look forward to seeing you here soon….